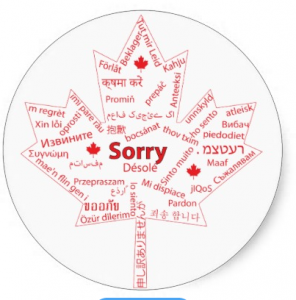 Yes, Canadians will apologize if you bump into them. 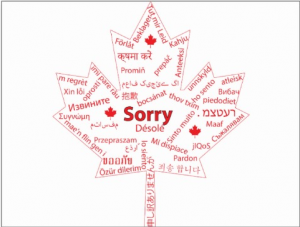 (But I bet you do too – it’s not limited to Brits and Canadians). 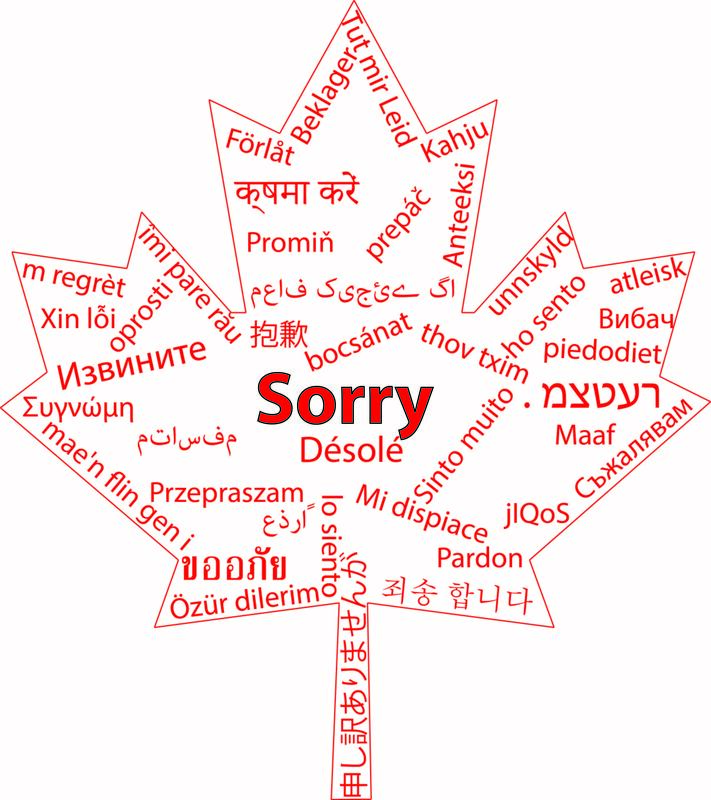 Sorry can mean a lot of things = true apology, preface to uncomfortable information, request for repeating information, and even getting mad. Check the tone when you’ve bumped into someone – their sorry could be suggesting that you apologize. 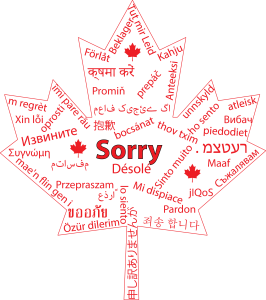 Because Canadian’s use this word so much, I created a Canadian translation image. What languages are on the image? I used the Nice Translator and tried to get as many languages as possible. 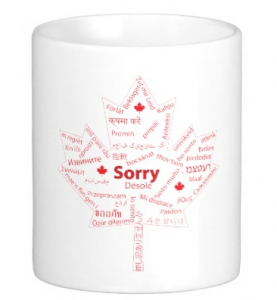 I translated ‘sorry’ only. 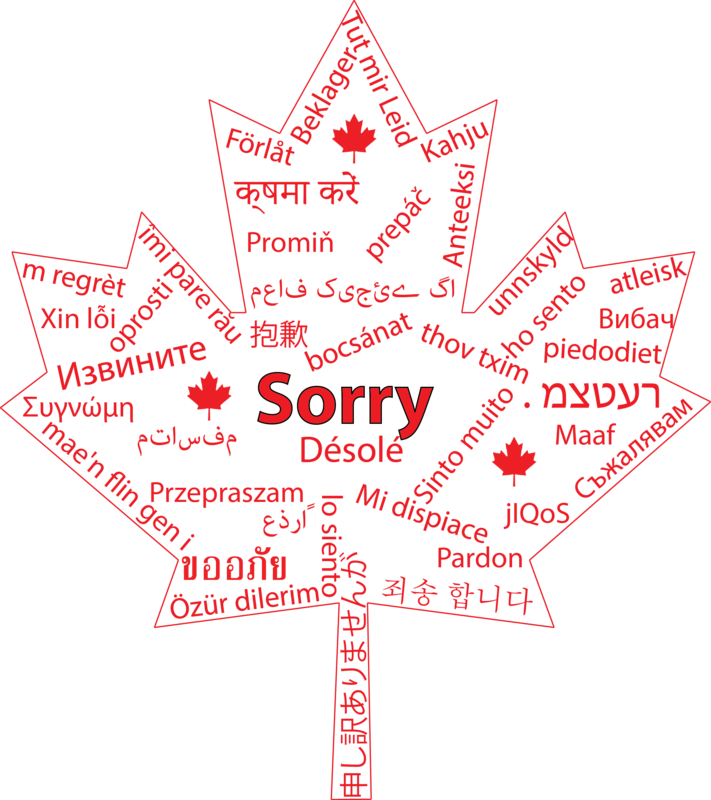 I also tried ‘I’m sorry’ but many of the translations were the same. Please take a look and see if the translations are wrong – I’ll fix as soon as possible! And of course, I’ll apologize! To start, I’ve put things on Zazzle but please let me know if you want any other options! I’ve also tried redbubble but I’m not sure it is working correctly.